Feast It is a company that allows you to book your favourite, big name street food traders and mobile bars for private parties and events. It's a great idea, and their site is very easy to use. If you have a big event coming up this year, have a look here. I very rarely allow guest posts - although people ask all the time - but I'm making an exception for Feast It. Book awesome street food trucks and pop-up bars for your wedding, corporate event or party in just 4 clicks! These tasty toastie pioneers have been serving cheesy goods out the side of their bright yellow van since 2013, making a serious impact on the cheese-loving world… rightly so, they’re absolutely delicious! The Cheese Truck make the toasties of your dreams, with thick rustic buttery toasted bread, hot melty cheese, and additional fillings to make your mouth water, from chorizo and jalapeno salsa, to goats cheese, honey and rosemary butter. The Cheese Truck have a real passion for traditionally made British cheese and all their fresh ingredients come from UK farms, so you know that your affordable toastie has been made with love and care. 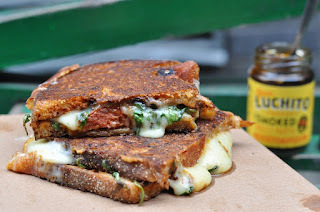 The Telegraph even awarded them ‘The Best Grilled Cheese in Britain, so what are you waiting for? Book The Cheese Truck now for your next event! One of the most charming mobile bars you can book with Feast It, The Cocktail Car Company takes the form of a converted classic red VW camper. The roof opens and the sides come down to transform this beautiful vehicle into a fully functioning bar. There are even glowing yellow light bulbs around the inside of the roof that come on after dark, creating a really wonderful celebratory atmosphere. Both trendy and graceful, The Cocktail Car Company serves a range of beer, cider, spirits, prosecco and champagne, as well as they fabulous bespoke cocktails specially for your event. They are made using homemade syrups and purees and their citrus fruits are always freshly squeezed. Having a summer wedding or garden party? These guys make the most delicious Pimms with fresh fruit. Premium drinks from a gorgeous retro campervan, positively brimming with individuality and charm, what more could you want? Book The Cocktail Car Company today! Let’s not beat around the bush, this is possibly the best gelato in London. Totally authentic, with recipes straight from Italy, Gelatology is a lovely brand that only uses natural ingredients to create their fascinating flavours and delicate textures. Don’t worry, your dietary requirements will not get in the way of you joining the gelato revolution, as these guys have vegan and gluten free options (including the cones) that taste just as wonderful! As well as the classic menu, which consists of all time favourites with a sophisticated twist, like the vanilla bean and custard, and strawberry sorbet with real berries, there are a few boozy additions, such as the Pimms, lemonade and mint. 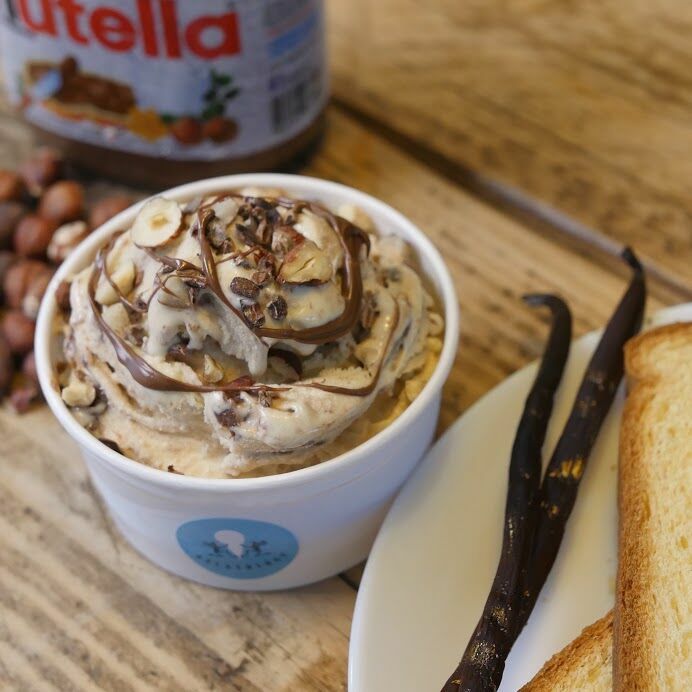 There are also a myriad of unusual and innovative flavours on offer… Feast It’s favourite is the Marie Antoinette, laced with brioche, nutella and nuts. Give your guests the gift of gelato and book Gelatology for your next event! Find them in Camden Market Stables from Thursday to Sunday, one till six. 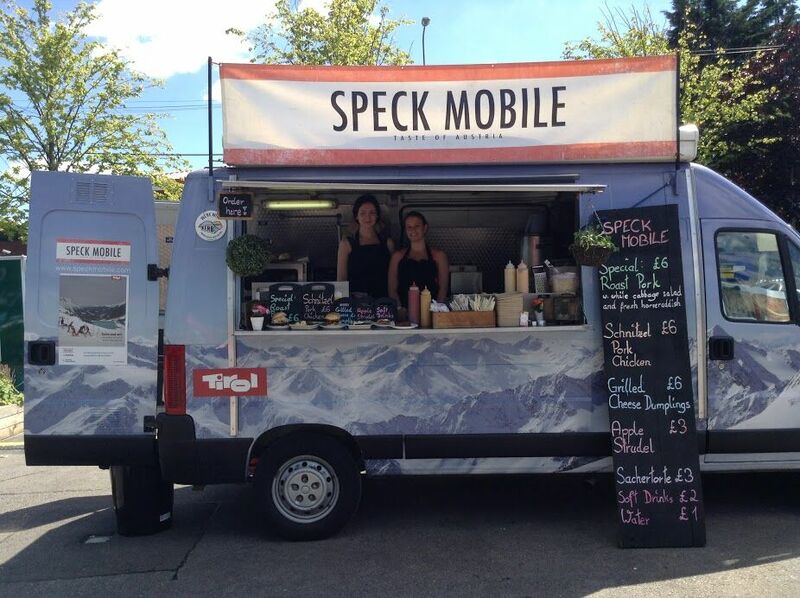 For an authentic taste of Austria with a trendy street food truck twist, look no further than the stupendous Speck Mobile. 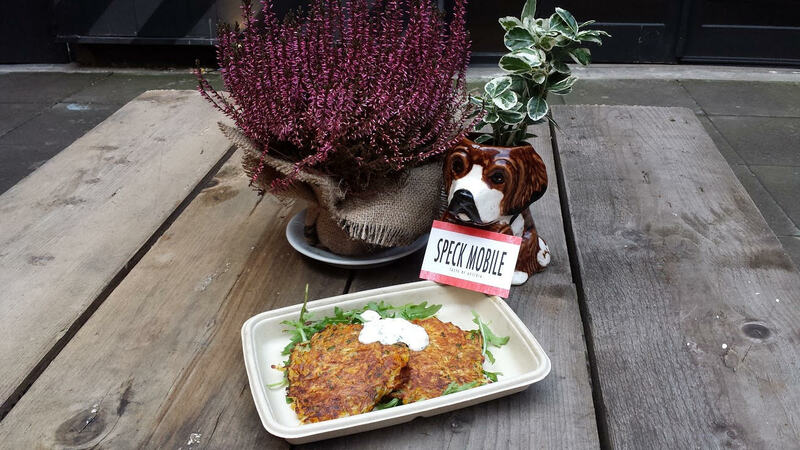 Founded by Franz Schinagl, an Austrian chef with 20 years experience in the restaurant industry, the Speckmobile has received a lot of attention since its birth, consistently included amongst London’s best food trucks. I mean, who doesn’t love schnitzel, bratwurst and dumplings? Answer: people with no taste buds. Combining a genuine passion for hospitality and heartwarming, homemade food, this is a perfect choice for event like an Apres Ski party or a corporate Christmas (they even do Austrian strudel making classes!) As for the food, it’s really quite brilliant. Feast It’s favourite is the bratwurst with sautéed potatoes and sauerkraut, with a cheeky side of grilled cheese dumplings and sour cream sauce. Book the truly ‘ausgezeichnet’ Speckmobile today for your next event! Find them in Speckmobile Arch, 76 Druid Street SE1 from eleven till five on weekends. The Evening Standard have claimed that this is London’s best waffle, and it’s hard for us to disagree. 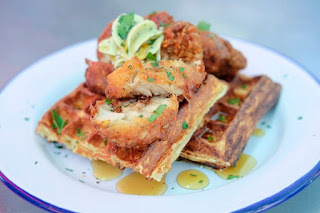 Waffle On create the ultimate comfort food, lip smacking waffles made from buttermilk, mixed totally by hand and served with a range of sweet and savoury toppings, so your guests can take their pick. Using the best ingredients on the market for their recipes, many of Waffle On’s producers are biodynamic and organic certified, because honest food definitely tastes better! From music festivals to weddings, these guys have done it all and can guarantee professional and fantastically friendly service. Feast It’s favourite savoury waffle has to be the Slow-Cooked Beef Waffle, served with a spiced red cabbage and lashings of horseradish cream. Their favourite sugary addition is the classic Chocolate Waffle, smothered with homemade hot Belgian chocolate sauce, meringues, strawberries and chantilly cream. Hungry yet? Book Waffle On for your next event! Find them on Maltby Street in Bermondsey, Brockley Market and Columbia Road Flower Market. 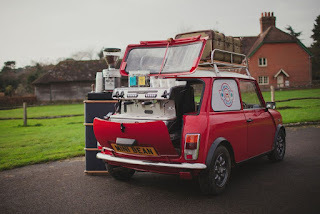 Small but most definitely mighty, Mini Bean Coffee are absolutely overflowing with personality, serving delicious freshly roasted small batch coffee and a range of whole leaf teas out the back of a cute converted vintage red Mini Cooper. These guys also have a selection of fresh cakes each day, including gooey salted caramel millionaire shortbread and classic raspberry bakewells. Mini Bean are more than happy to put logos on their car for corporate events and can serve a whopping 2000 drinks a day! 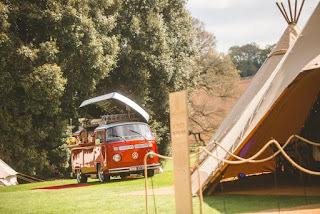 They also work exceptionally well at private celebrations, putting a really lovely touch on the day with their adorable car and market stall, with tables made from old fashioned suitcases stacked on top of one another. If you envisioned your guests milling around your garden party with a fresh mint tea and a lemon polenta cake, Mini Bean Coffee could be the perfect answer. Book them for your next event today on Feast It. So there they are, some of Feast It’s best traders! You can check out the hundreds of other food traders and quirky mobile bars on their site. It’s really straightforward to enquire online and the friendly Feast It team are quick at getting back to you to discuss your trader choices and get everything booked.